Calling the United States' president "the world's leading spokesman" for using diplomacy and cooperation to meet global challenges, the Norwegian Nobel Committee this morning conferred the Nobel Peace Prize to President Barack Obama. For an announcement about a peace prize, this one was a bombshell. CBS News correspondent Mark Phillips said one could almost hear the gasps when the committee made its announcement. The committee doesn't release a short list of candidates (there were 205 nominations this year), and so the award to Mr. Obama came out of the blue - even to the White House. CBS News correspondent Larry Miller reports that world reaction has been largely favorable. French President Nicolas Sarkozy says the awarding of the Nobel Peace Prize to Barack Obama embodies the "return of America into the hearts of the people of the world." In a message to the U.S. president, Sarkozy expresses his "very great joy" for Obama and says the honor should strengthen the U.S. leader's determination to work toward peace, justice and "maintaining our planet's great balances." Yom Egeland, the executive director of the Norwegian Institute of International Affairs, said the Committee's choice of Mr. Obama was "courageous and positive." Egeland said he believes it was the president's U.N. Security Council resolution to rid the world of nuclear weapons that resulted in the award going to Mr. Obama. He also said the award may strengthen Mr. Obama's hand in winning international cooperation on key initiatives including climate change, but cautions Afghanistan is a "special case" where he does not expect other nations to increase support for the United States' military effort there. 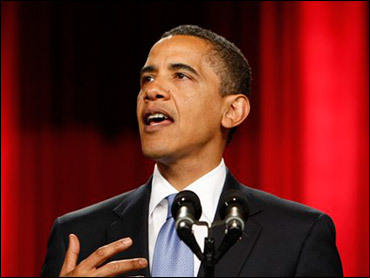 Afghan President Hamid Karzai said Mr Obama's efforts for global peace make him the appropriate recipient. The European Union hopes it would encourage people to create a safer world. The 2008 Peace Prize winner Martti Ahtisaari, the former Finnish president and veteran troubleshooter in international conflicts, said the award should "encourage" Mr. Obama's Middle East peace efforts. "We do not yet have a peace in the Middle East ... this time it was very clear that they wanted to encourage Obama to move on these issues," Ahtisaari told CNN television. "This is a clear encouragement to do something on this issue, I wish him good luck." But former Polish President Lech Walesa, himself a 1983 Nobel Peace laureate after co-founding the trade union Solidarity and leading a 1980 strike in the Gdansk shipyards against the Soviet-bloc government, said, "So soon? Too early. He has no contribution so far. He is still at an early stage. He is only beginning to act. "This is probably an encouragement for him to act. Let's see if he perseveres. Let's give him time to act," Walesa said. Obama: Nobel Prize a "Call To Action"
Obama's Next "Most Important Speech"
Obama's Nobel Win: A "Mission Accomplished" Moment? Nobel Peace Prize Shocks Bloggers: "This is Insane"
1984. He said Mr. Obama's award shows great things are expected from him in coming years. "It's an award coming near the beginning of the first term of office of a relatively young president that anticipates an even greater contribution towards making our world a safer place for all," Tutu said. "It is an award that speaks to the promise of President Obama's message of hope." The Palestinian Authority's Chief Negotiator Saeb Erekat welcomed the Nobel Committee's decision, saying he hopes President Obama will achieve peace in the Middle East. But ordinary Palestinians are more skeptical. CBS News' Robert Berger reports many say President Obama has talked about peace, but on the ground, nothing has changed. Israel's defense minister, Ehud Barak, said in a statement, "I believe the Nobel prize will strengthen President Obama's ability to contribute to a comprehensive peace in the Middle East." While Israeli Parliament Speaker Reuven Rivlin described the Nobel decision as "very, very strange," he said it could encourage the international community to force a peace agreement on Israel. But a former Israeli ambassador to the U.N. described the award as "premature." A Hebrew University political scientist and a former director of Israel's Foreign Ministry called the Nobel decision "brilliant" and said it should provide momentum and encouragement to his peace effort. give up on this idea." In Pakistan's central city of Multan, the reaction of radical Islamic leader Hanif Jalandhri was more muted, saying he was neither happy nor surprised by Mr. Obama's award. "But I do hope that Obama will make efforts to work for peace, and he will try to scrap the policies of (former U.S. President George) Bush who put the world peace in danger," said Jalandhri, the secretary general of a group that oversees 12,500 seminaries. "This prize has tripled Obama's responsibilities, and we can hope that he will try to prove through his actions that he deserved this honor." A dissenting voice was raised from an Islamic Jihad leader who dismissed the prize as "political, not based on morals." One London political commentator suggested the President won the Peace Prize because "He isn't George Bush." That qualification found no support from the Taliban, which condemned Mr. Obama's Nobel Peace Prize, saying that he has not brought peace but rather has continued the policies of his predecessor. "We have seen no change in his strategy for peace. He has done nothing for peace in Afghanistan," Taliban spokesman Zabihullah Mujahid told Agence France-Presse by telephone from an undisclosed location. "When Obama was elected president, we were hopeful he would keep his promise to bring change. But he brought no change, he has continued the same old strategy as (President George W.) Bush. "He reinforces the war in Afghanistan, he sent more troops to Afghanistan and is considering sending yet more. He has shed Afghan blood and he continues to bleed Afghans and to boost the war here," he said. , the Committee said, "The Nobel Peace Prize for 2009 is to be awarded to President Barack Obama for his extraordinary efforts to strengthen international diplomacy and cooperation between peoples." The Committee attached special significance to the president's vision of and work for a world without nuclear weapons. The Committee said that as president Mr. Obama has created "a new climate in international politics." "Multilateral diplomacy has regained a central position, with emphasis on the role that the United Nations and other international institutions can play. Dialogue and negotiations are preferred as instruments for resolving even the most difficult international conflicts. The vision of a world free from nuclear arms has powerfully stimulated disarmament and arms control negotiations. Thanks to Obama's initiative, the U.S.A. is now playing a more constructive role in meeting the great climatic challenges the world is confronting. Democracy and human rights are to be strengthened. This is a surprising and controversial announcement, proving that President Obama, whatever his challenges domestically, overseas is still a very popular figure, reports Phillips. The award appeared to be a slap at President George W. Bush from a committee that harshly criticized Mr. Obama's predecessor for his largely unilateral military actions in the wake of the September 11 terror attacks - as well as a recognition of the new administration's efforts to turn around world opinion towards the United States. In 2002 President Bush was himself nominated (along with British Prime Minister Tony Blair) by a right-wing Norwegian politician for the Nobel Peace Prize for promoting democracy, after having invaded Afghanistan. Another right-wing parliamentarian in Norway nominated Mr. Bush and Blair again for the 2004 Peace Prize. Jan Simonsen said then that even though weapons of mass destruction - the publicly-stated reason for the U.S.-led invasion of Iraq - proved unfounded, the two still deserved the peace prize for toppling the regime of Saddam Hussein. But the prizes went to others. In 2002 the Nobel committee chairman said that awarding the prize to former Democratic President Jimmy Carter for his mediation in international conflicts should be seen as a "kick in the leg" to the Bush administration's hard line in the buildup to the Iraq war. Five years later, the committee honored Mr. Bush's adversary in the 2000 presidential election, Al Gore, for his campaign to raise awareness about global warming. CBS News chief Washington correspondent Bob Schieffer said, "I don't think anybody expected this. The Nobel Committee, I find interesting, said they awarded this for changing the tone of American politics. It's almost as if they're saying we're giving you the Nobel Peace Prize for winning the election. President Bush was very unpopular in Europe and it is almost as if this is more of a comment on the previous administration than it is on the new one." World leaders have been awarded the Nobel Prize before, notes Phillips, but never this early in office and never for the intention of their policies rather than the results. In the Kenyan city of Kisumu, the home province of President Obama's father, local radio shows interrupted broadcasting to have live phone-ins so callers could congratulate Mr. Obama on his win. Traders in the market huddled around handheld radios and shouted the news from the windows of local minibuses - known as matatus. "When I heard it on the radio I said Hallelujah!" said 65-year-old James Andaro. "It's God's blessing. This win is for Africa." Matatu driver Ajos Rambanya, 27, said: "I am very happy. Someone who is good is known by his deeds and Obama has proven that." In Washington CBS News senior White House correspondent Bill Plante said the news hit the White House like a thunderclap out of nowhere. Press Secretary Robert Gibbs (whose own e-mail response to reporters this morning was the single word "Wow") told the president, who said he was humbled by the committee's decision. This is particularly stunning because it comes as the president is in the process of deciding whether or not to send more combat troops to Afghanistan, Plante wondered if winning a peace prize would constrain his options? Schieffer did not think the peace prize would affect the president's decision on Afghanistan. "I think where the impact will be is the political reaction in this country from both sides." Schieffer noted one European commentator who asked whether the award would represent a "poisoned chalice" for Mr. Obama. "In other words, is this going to hurt the president rather than help him? And I must say, when you see the reaction that we got to the United States not getting the Olympics from people on the conservative right, you have to wonder: Is this going to widen the part of partisan divide rather than bring people together?"